One of the things that contributes to the frenetic sensation of the classic Burnout games is the liquid smooth framerate. Running at a resolute 60 frames per second, the Burnout games of old were renowned for their ultra-responsive play and when Burnout Paradise: Remastered was released on PS4 last year, it too also boasted a similarly, liquid smooth framerate. 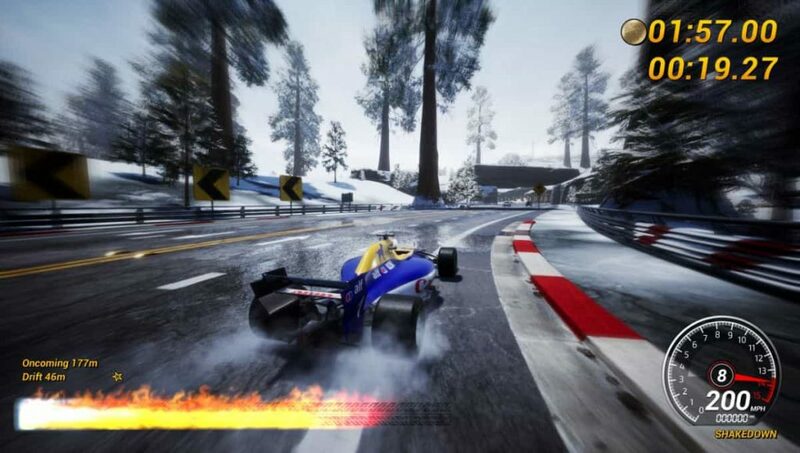 With Dangerous Driving, the spiritual successor to the Burnout games of old, now out in the wild, one of the things that we noted in our review was that the game runs at 30 frames per second on base PS4 (and Xbox One) hardware, whereas PS4 Pro owners instead get a much smoother, 60 frames per second experience from the game. Of course, this makes total sense. Being such a small developer, it is often easy for folks like us on the other side of the looking glass to underestimate the veritable mountain of work that lay in thoroughly optimizing a game for one system, let alone three. It’ll certainly be interesting to see what comes next from this talented studio, that’s for sure. Dangerous Driving is out now on PS4, PC and Xbox One. It is so true that what makes games shine is the amount of time the developers have to optimize and refine the game. That’s one of the main reasons why playstation’s first-party games are so visually stunning.